Plan my trip to Ajmer with suggested itineraries provided by Inspirock. Mumbai to Ajmer is an approximately 7.5-hour combination of flight and train. You can also do a combination of train and flight; or drive. Finish up your sightseeing early on the 20th (Sat) so you can travel to Mumbai. Kids will enjoy Chowpatty Beach and KidZania Mumbai. Next up on the itinerary: make a trip to Gateway of India, examine the collection at Monetary Museum, find something for the whole family at Red Carpet Wax Museum, and snap pictures at Bandra-Worli Sea Link. 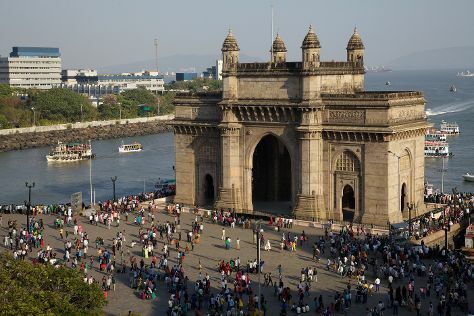 To find maps, other places to visit, more things to do, and more tourist information, go to the Mumbai travel planning tool . Traveling by combination of train and flight from Ajmer to Mumbai takes 7.5 hours. Alternatively, you can do a combination of train and flight; or drive. In April, daytime highs in Mumbai are 39°C, while nighttime lows are 28°C. Wrap up your sightseeing on the 23rd (Tue) early enough to travel back home.